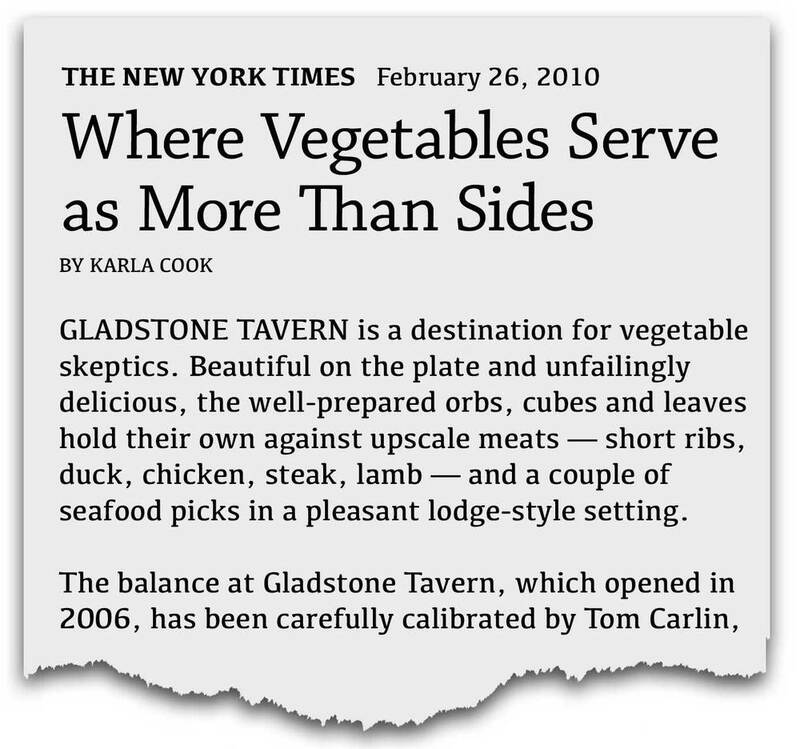 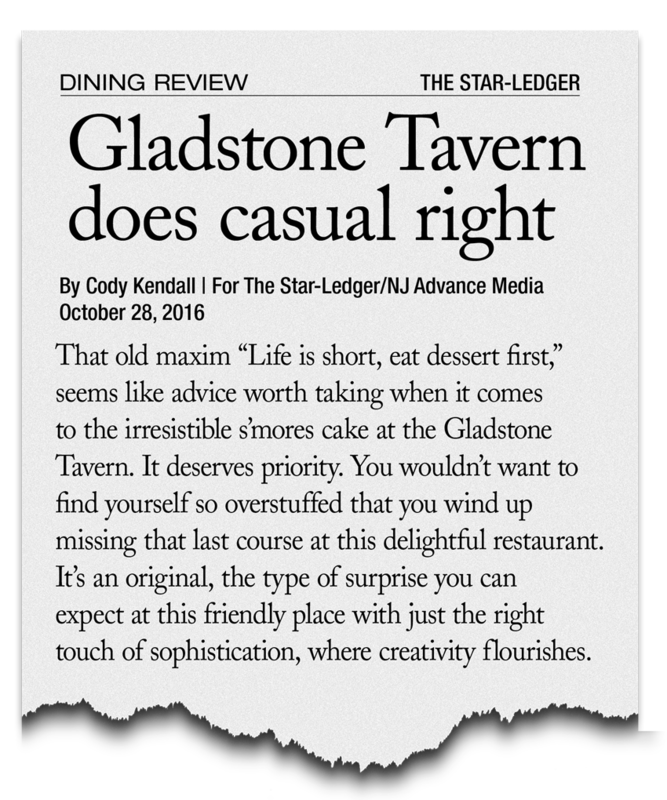 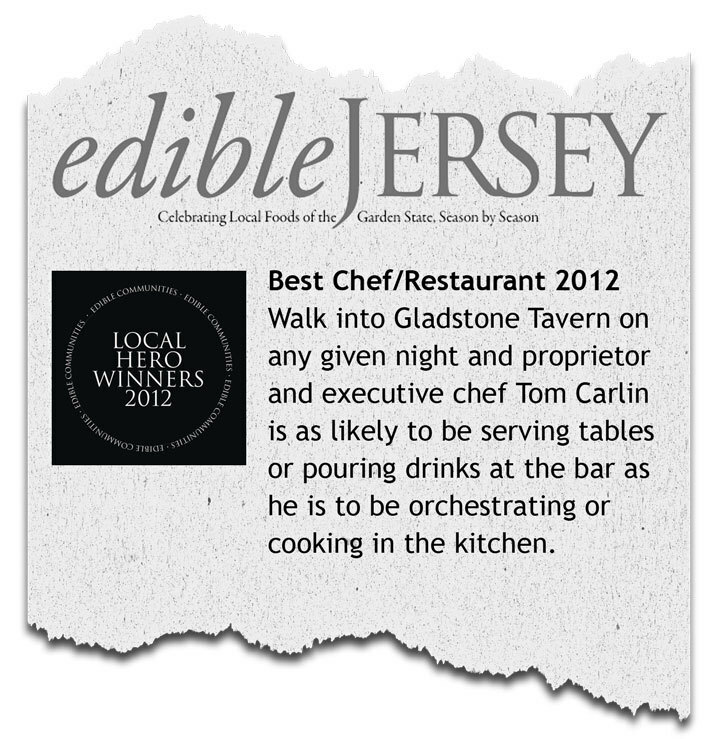 "The Gladstone Tavern makes a success of being all things to all people. 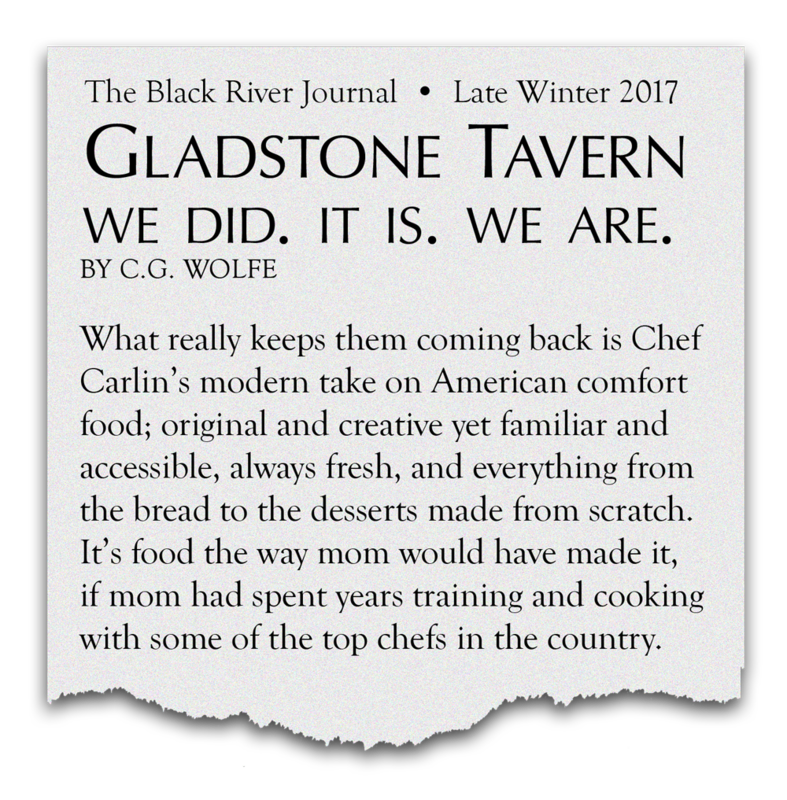 Every item is produced in-house, which gives a gloss whether you’re indulging in made-to-order guacamole or ice cream. 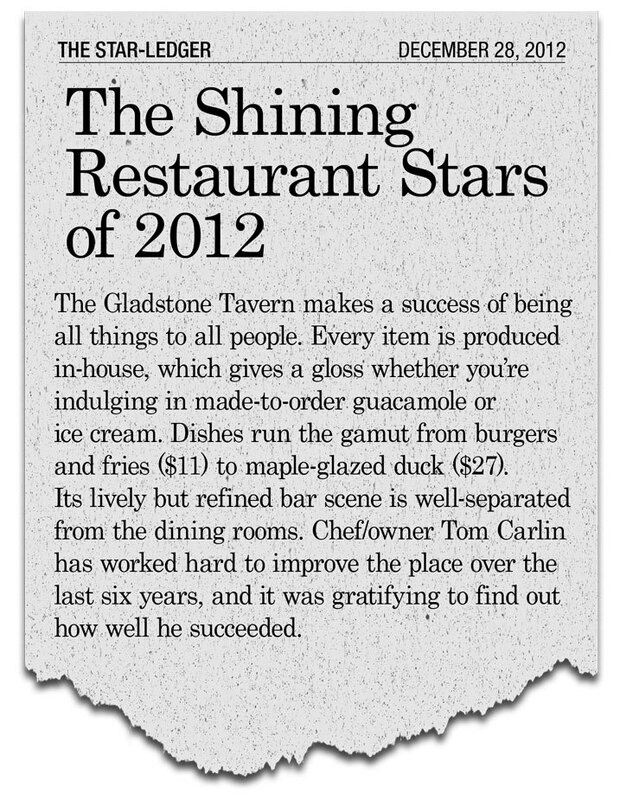 Dishes run the gamut from burgers and fries to maple-glazed duck. 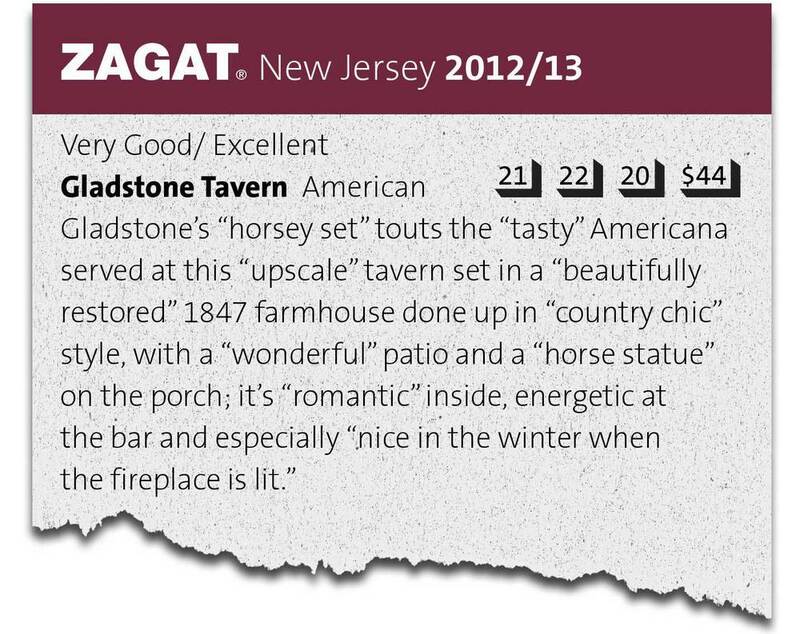 Its lively but refined bar scene is well-separated from the dining rooms." 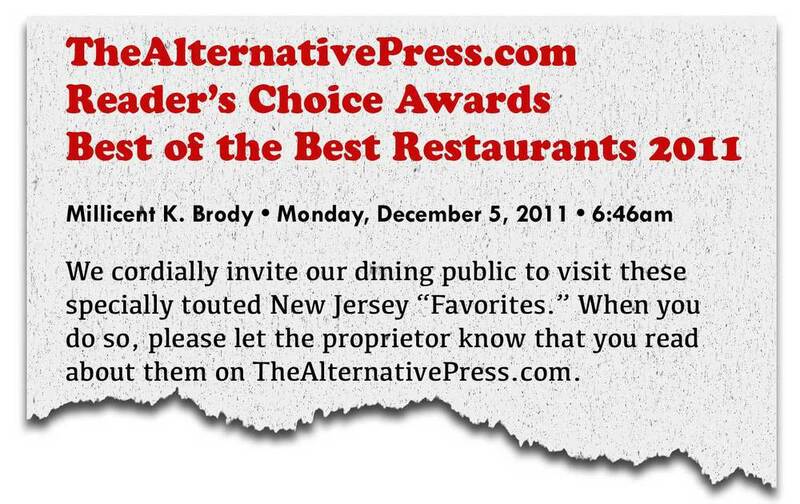 For complete online reviews, simply click the clipping.